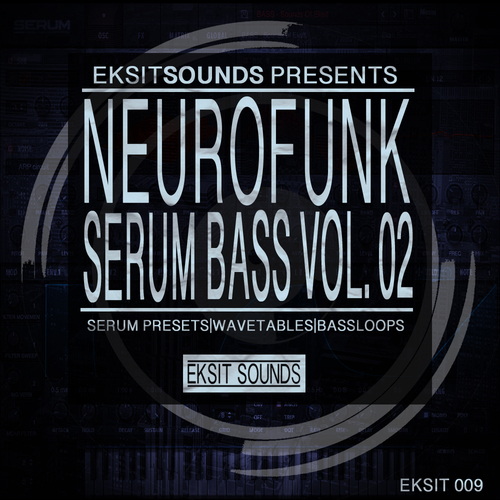 After the huge success of the number 1 best selling Neurofunk serum bass volume 1, get ready for more bass weapons for Serum in volume 2 of our Neurofunk bass preset series. 42 presets in total and each and every one of the packs one hell of wallop. From big long evolving basses to short punchy basses, there is definitely something in here for all bass heavy music producers. Along side that are 50 wavetables that can be dropped into serum’s wavetable designer and fiddled around with to create even more custom bass sounds. Or why not use them in any way you want. They can also be used as bass hits in their own right if you just want to drop them into one of your tunes in that gap you have been looking to fill. Rounding the pack off are 20 bass loops for quick ideas and inspiration while you are bringing the madness to your tunes with the presets. This pack is designed to go into all out war with your basses and with Macro controls galore there is a lot of customization to be made with these presets. Check the preview out and discover what you might be missing out on. These presets have been designed with neurofunk in mind but can be used for a vast array of genres that are bass heavy such as breaks, dubstep, bass house and so on.